Hamden police responded to Quinnipiac university on the report of a drug investigation on Feb 18. 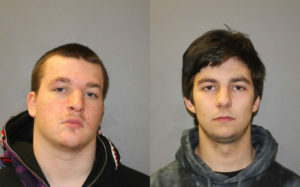 Patrick Ownbey, 18, Shawn Wheeler, 18, were arrested for the possession and sale of marijuana. Samuel Giess, 19, and Matthew Moore, 19, were arrested and issued infractions for possession of less than .5 ounces of marijuana, according to a news release sent out by the Hamden Police Department. QU Public Safety received a tip that students were selling drugs from their dorm in Mountainview. Public Safety then searched Ownbey’s room while Wheeler, Giess and Moore were present. Ownbey was in possession of a plastic bag containing 15.5 grams of marijuana, 5 edible “Marijuana Fruity Pebble Squares” weighing 303.3 grams, 87 grams of THC oil and drug paraphernalia, including packaging materials, according to the news release. Wheeler was in the possession of a plastic bag containing 137.5 grams of marijuana and drug paraphernalia, including a scale. Both Ownbey and Wheeler were charged with Possession of a controlled Substance and Sale of a Controlled Item. They were each released on a $1,000 bond and are both scheduled to appear in court on March 5 in Meriden. Giess and Moore were both issued infractions for possession of less than half an ounce of marijuana, according to the news release. 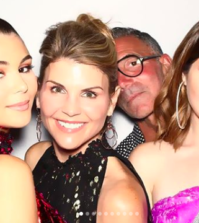 Ownbey is from Cherry Hill, New Jersey, Wheeler from Atkinson, New Hampshire, Giess from Wellesley, Massachusetts and Moore from Wilton, Connecticut. The two students charged with possession and sale of a controlled substance have been suspended and removed from the university, and the two students charged with possession of marijuana have been suspended from the residence halls, all pending their conduct meetings, according to Lynn Bushnell, vice president for public affairs. Edgar Rodriguez could not comment. The four students did not get back to us in time for publication. Correction: Language was changed to clarify charges.